Cancun has positioned itself as a premiere destination for luxury living an tourism. The city’s calendar is full of world class events ranging from food festivals to sailing shows to Jazz festival. One such big event is the Annual Cancun-Riviera Maya Wine & Food Festival. Secrets the Vine Cancun will be the official host hotel for the 3rd Annual Cancun-Riviera Maya Wine & Food Festival March 13 to 16. The festival will celebrate France with a “Europe Meets the Americas” theme. 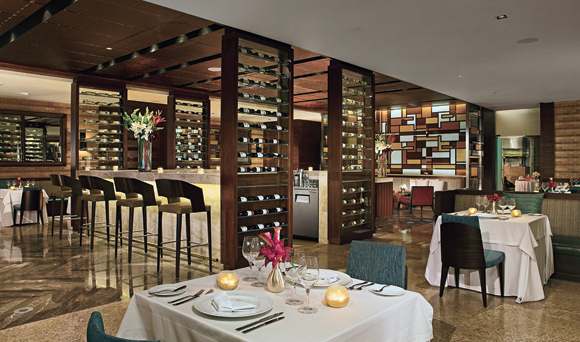 Secrets the Vine Cancun is a 495 room wine-themed resort featuring a wine wall with 3,000 wines and is a perfect setting for the wine and food fest. The adults-only all-inclusive resort will host the festival’s main event, a gala dinner to celebrate this year’s guest of honor, Chef Daniel Boulud. The chef is best known for Daniel, his 3 Michelin star Relais & Chateaux restaurant in New York. In return Secrets will be showcased at the Gourmet Tasting Village which will be a ticketed event featuring regional cuisine and spirits as well as 55 wineries from the Americas, Mexico and Europe. For more details, visit www.secretsresorts.com/vine-cancun.